The 1920s were a time of optimism in the world at large. The Great War (what we now call World War I) wrought many social changes. Those who survived it, with or without injuries, felt that life was short and should be lived to the fullest. The prevailing musical style of the period, jazz, gave its name to the age. The dominant fashion designer, Gabrielle "Coco" Chanel, created the boyish, flat silhouette. 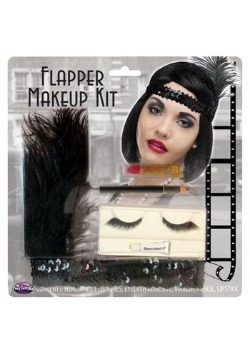 Flappers, who emerged in 1926, embraced the style with abandon. 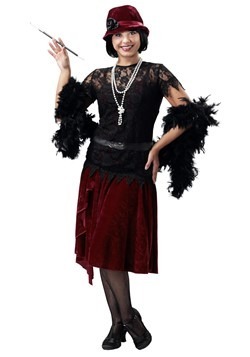 The shortest skirts of the decade were in 1926, and ended just above the kneecap. They're positively demure by 21st century standards, but were scandalous at the time. The loose-fitting style and short hemlines allowed women to dance with enthusiasm. 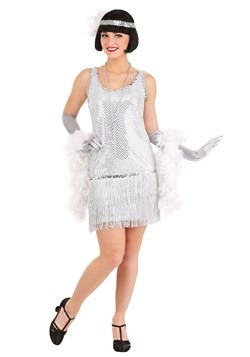 Our collection of adult flapper costumes lets you bring the Jazz Age back to life. 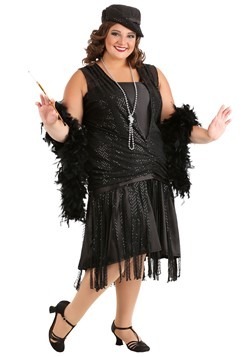 We have standard and plus sizes with all the fringe and sequins you could want. 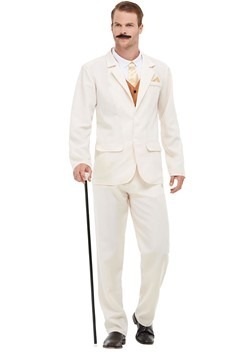 You can look as if you've just stepped out of a story by F. Scott Fitzgerald. Practice the Charleston and the Lindy Hop, and get ready for a night on the town at your favorite jazz joint!